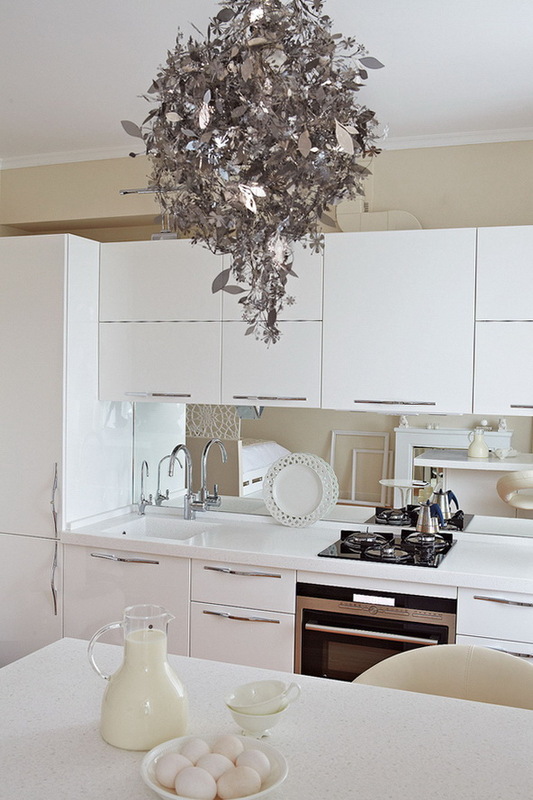 Beautiful and spacious apartment owned by the landlady, who lives near the embankment of Moscow – the river. The idea was that the apartment so that you can enjoy from every corner of the beautiful and interesting river. 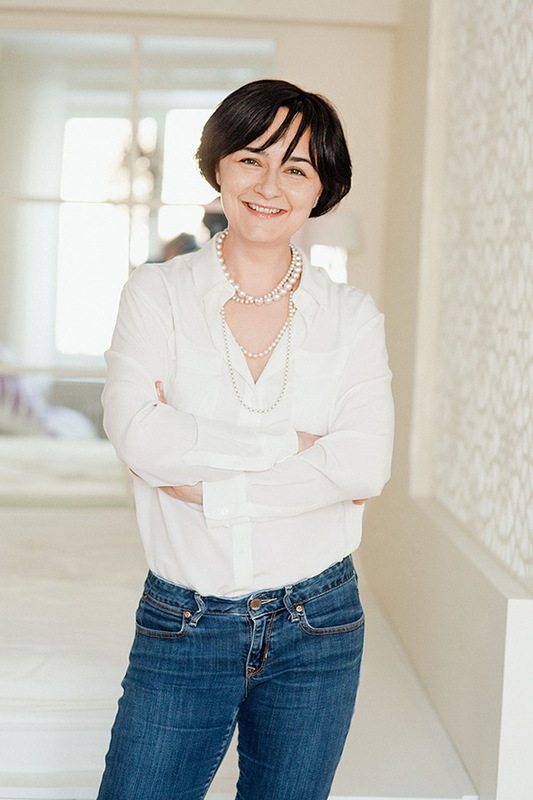 The hostess herself took its interior apartments, as previously Elena Prytula before a long and interesting writing about the design of the project in the most fashion magazines; she was the editor of the AD and Vogue. Elena believes that the interior should be light, the windows should be plenty of light. 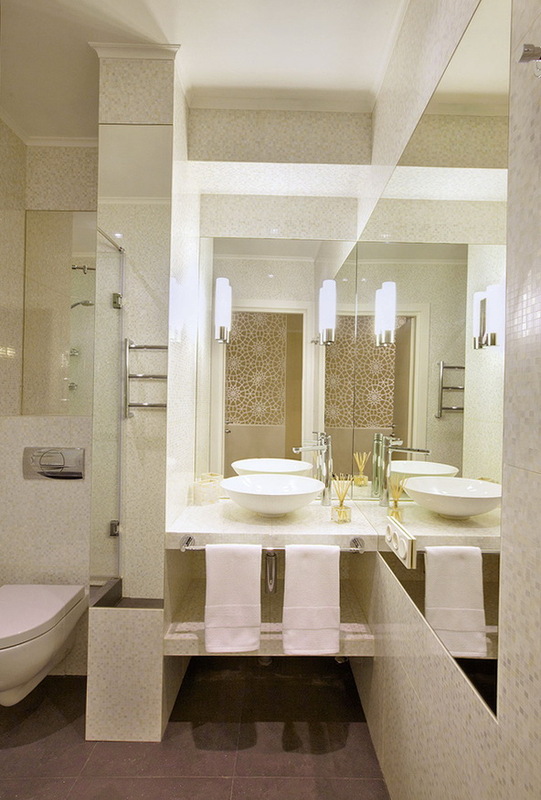 In the interior there is a creamy white with beautiful shades of colors, and to use different textures and materials. Curtains have chosen light and sheer drapes in the room penetrated more daylight. Cornices on the ceiling are constructed of beautiful natural and made of clear acrylic, and they are nearly invisible. The division is constructed in the Moroccan style, with beautiful white flowers.it cozy. The room has a wall that separates the area from the working studio and room and hallway. 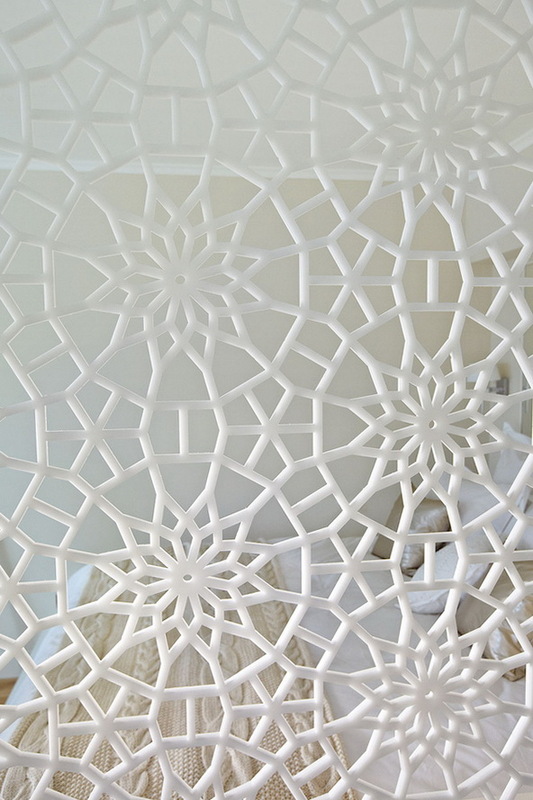 The partition is made in the Moroccan style, with beautiful white flowers. This design was very difficult to perform, and her captain was preparing for a month. Ornament for the division was cut very ideal. The material was also used semi-gloss acrylic. The sitting room has a beautiful fireplace and is convenient and comfortable rocking chair, which allows you to savor the warmth. Warm and white carpet is made from the skins of sheep from Tibet looks beautiful and very soft. Work apron in the kitchen – a mirror, and a fireplace with glass inserts, too, which helps to visually expand the space.